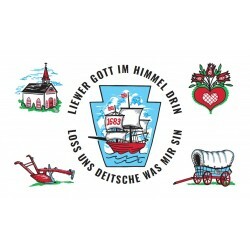 Schwetz mol Deitsch! 2nd Ed. 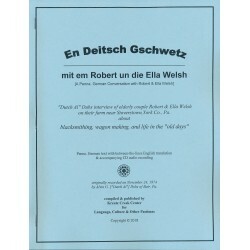 This 2nd edition of Schwetz mol Deitsch! 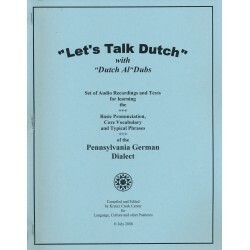 features access to the authors’ new online audio resource full of clips of native Pennsylvania Dutch speakers. 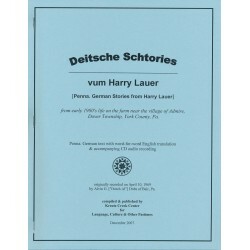 The new text also has an answer key for all of those learning on their own as well as some edits from the 1st edition. This book stresses the four competencies of foreign language learning: speaking, reading, writing, and listening. This 2nd edition truly is one of the best ways to learn PA Dutch on your own! Illustrations. Softcover. 318 pages.